Apparently these USPS stamps were issued in 2009. 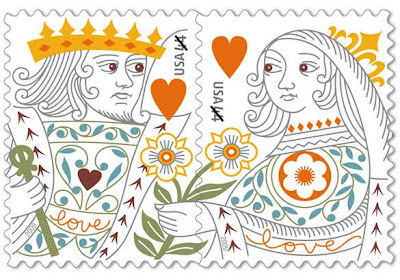 I discovered them other day when I asked my friendly postal worker is she had any stamps with hearts on them. I love everything about these and will be using them for more than just mailing Valentines.